To Bring the Kids Or Not? This is largely a personal decision that depends on the individual person and their family. In the past, we have chosen to only bring our littlest baby at the time. This works for us. However, I know others that bring their whole family - kids, grandparents, everybody gets to come! The IAHE has a great teen program (I know the people IRL that are running it!) and they also offer kid-friendly activities that will be going on throughout the day. I say, whatever works for you and yours. 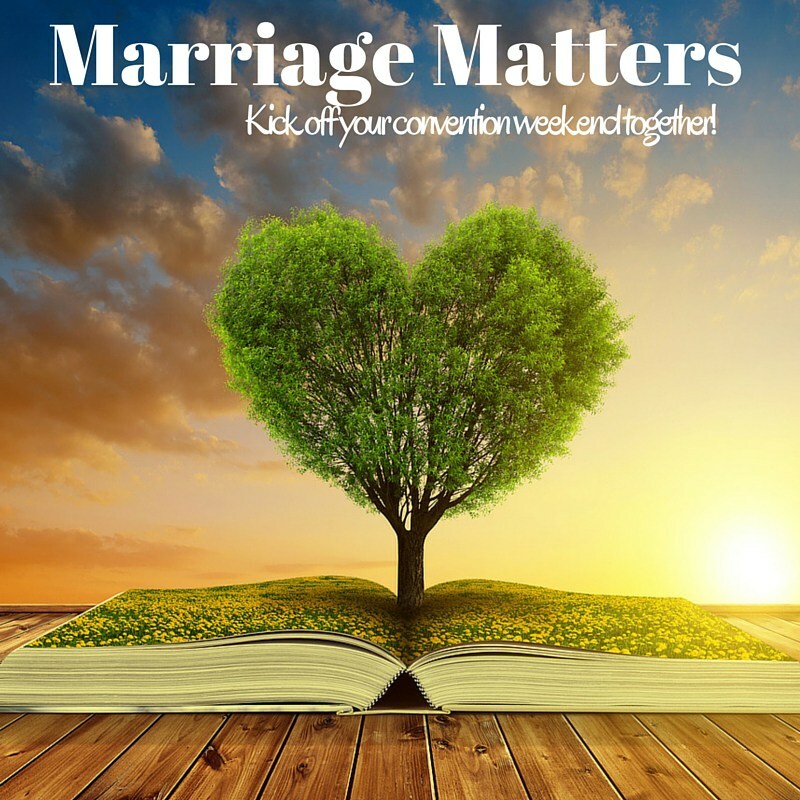 If you're wanting to have some alone time or some one-on-one time with your spouse, go for it! If you want to make it a family thing, do it! Comfortable Clothes and Shoes - The exhibit hall is big so there's quite a bit of walking! And you'll want to be comfortable during the different speaker sessions. Pen and paper - I always like to take notes during the speaker workshops. And of course, you can also use it to jot down curriculum ideas/choices. A list of your kiddos and their subjects/grades - When you're shopping, you don't want to have to try and recall what books you may or may not have...go ahead and write it down ahead of time, and make sure to note anything you want to check out at the convention in person. An extra bag/wheeled carrier/rolling cart/tote bag - You need something to carry your purchases in! The convention hall is FULL of great vendors, many of whom are supporting the IAHE and who may offer certain deals just for the convention! I have lots of friends who bring a rolling cart which they leave in their vehicle until lunch time and then go get when they're ready to shop. My stroller comes in handy for this - I can put my purchases in the bottom of it where the storage compartment is. Cash - For purchases and parking. Most vendors will accept credit or debit cards but having cash on hand is a good idea for those that don't or for something unexpected. Why Should I Go To The Convention? There are many reasons! Not only is the exhibit hall shopping a great opportunity to see curriculum and teaching tools in person and get great deals, but it's also a great time to see other homeschooling families and possibly make friends or talk homeschooling with others who are "in the trenches." Not only that, but the speaker lineup is simply fantastic - Hal & Melanie Young, Kendra & Andy Fletcher, Andrew Pudewa, T.C. Stallings, Linda Hobar, and soooo many more! 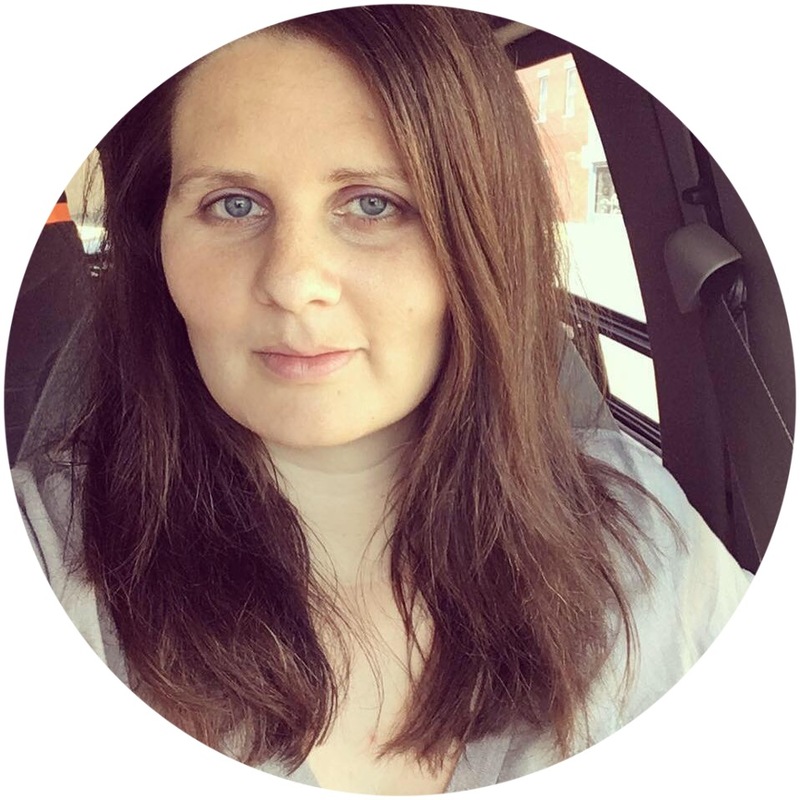 They'll be speaking on a TON of different subjects and there's something for everyone: single parents, brand new homeschooling parents, parents of preschoolers, parents of high schoolers, dads, history buffs, parents of struggling learners, work at home parents, parents of special needs kids...the list goes on! ALSO: "The IAHE Convention is the ONLY convention that dedicates its proceeds to the benefit of Indiana home educators." So by going to and supporting the convention (buying things there, participating in the different events, etc.) you are directly helping home education in Indiana! And as someone else reminded me this year - all your purchases from the exhibit hall help to ensure that those exhibitors come back to next year's convention! So if you haven't already, go purchase your convention pass NOW! Online registration is only open until this Sunday April 17th! 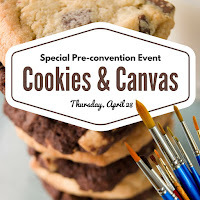 In addition to the great speakers and exhibit hall shopping, this year there are also several pre-convention events going on that you might want to take note of! 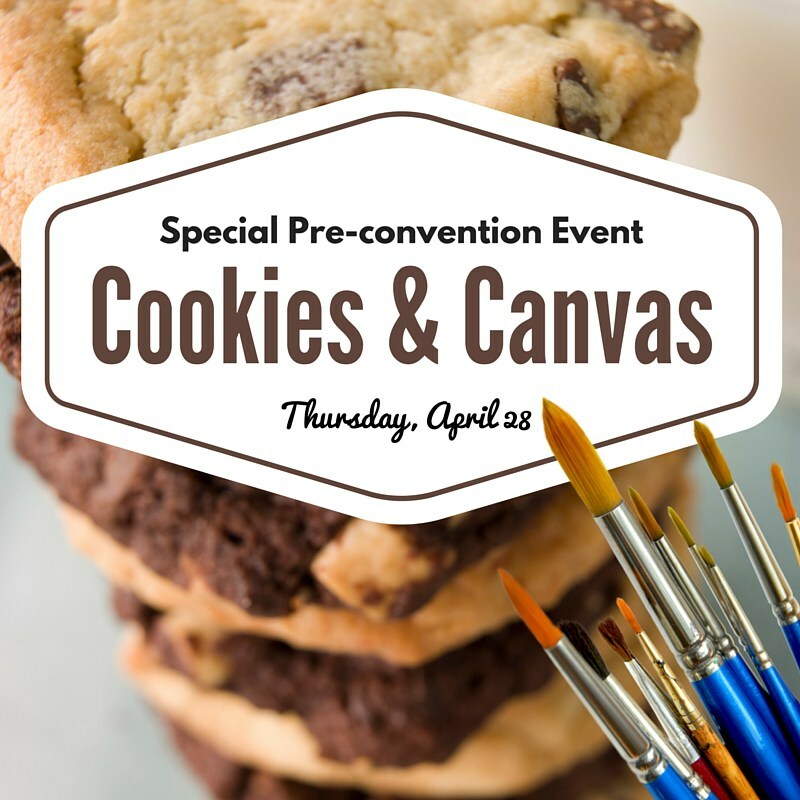 - A Cookies and Canvas class will be offered from 10 AM - noon for adults and kids 8 and over. Local homeschooler and artist Cindy Miller will be guiding class participants step-by-step on how to recreate a painting. (I've seen her art - it's AMAZING!) And seriously...only $20 for supplies, professional instruction, snacks, and you don't have to clean up or provide anything, other than yourself? That rocks. 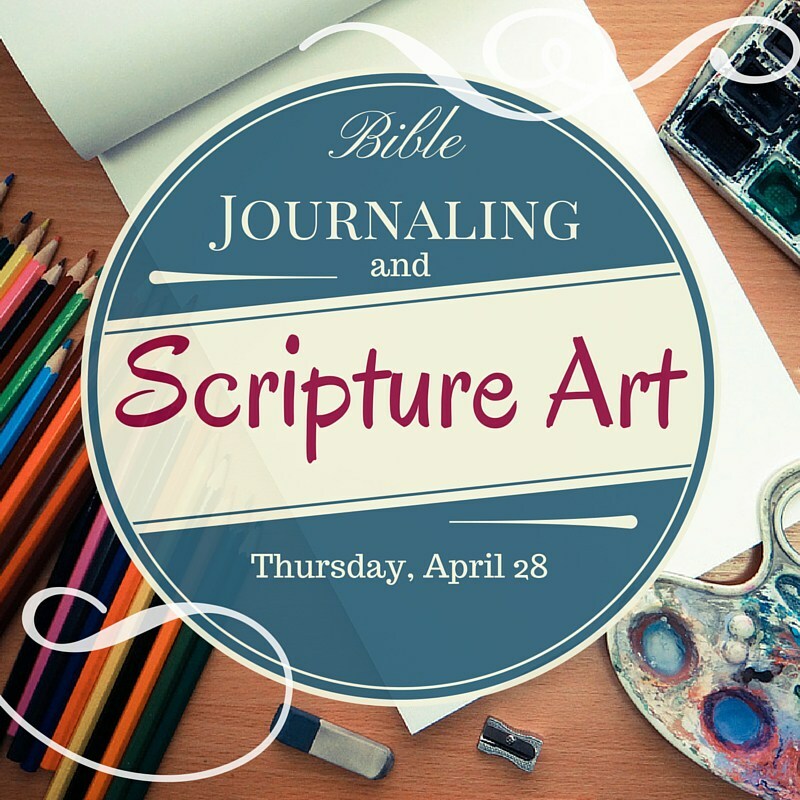 - A Bible Journaling & Scripture Art class will be offered from 1 - 3 PM for adults and kids ages 12 and older. Come learn more about this amazing way to study your Bible or illustrate your faith through art. Bring a Bible, something to take notes on, and a pen. The cost is $20 with all other needed materials supplied. 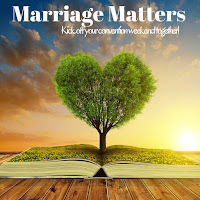 - A special dessert reception entitled Marriage Matters will be held from 6:30 - 9 PM. It costs $25 per couple and will feature convention speakers Hal & Melanie Young and Andy & Kendra Fletcher. - IEW’s High School Essay Intensive with Andrew Pudewa is a one-day seminar for high school students and teachers. It will be held from 8:30 AM - 4:30 PM. It provides tips and experience on high school essay writing, text analysis, and college application essays. The cost is $50 per student, $25 for an accompanying adult. - At 7 PM, a FREE How to Homeschool workshop will be offered. 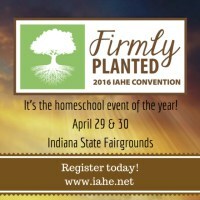 Veteran homeschool parents will be sharing an overview of home education in Indiana and then providing time for a Q&A session. Yes! You Can Homeschool! is a great place to start if you're considering homeschooling. These events do require pre-registration which you can do HERE. All these events will be held in the Farm Bureau Building at the Indiana Fairgrounds and there is free parking!